We all know that medicines has now been a part of our lives. May it be vitamins, maintenance, prescribed, supplements, we always hear how expensive they are especially the branded ones. Some don't even take medicines because of lack of money. My mom takes a daily maintenance for her hypertension and believe me, it's not easy to shell out the amount of money to buy her medicines, but we have to do it to make her feel better. And because we love her. And some medicines are waaaaayyy expensive, don't you think? Maybe that's why not a lot of people buy it. I know people who don't take it and don't follow their doctors advise because they don't want to burden their loved ones in shouldering the expenses. Good thing, Watsons, the number one pharmacy retail brand in Asia*, gives families more options for high quality but affordable generic medicines with the recent launch of its own generics line. 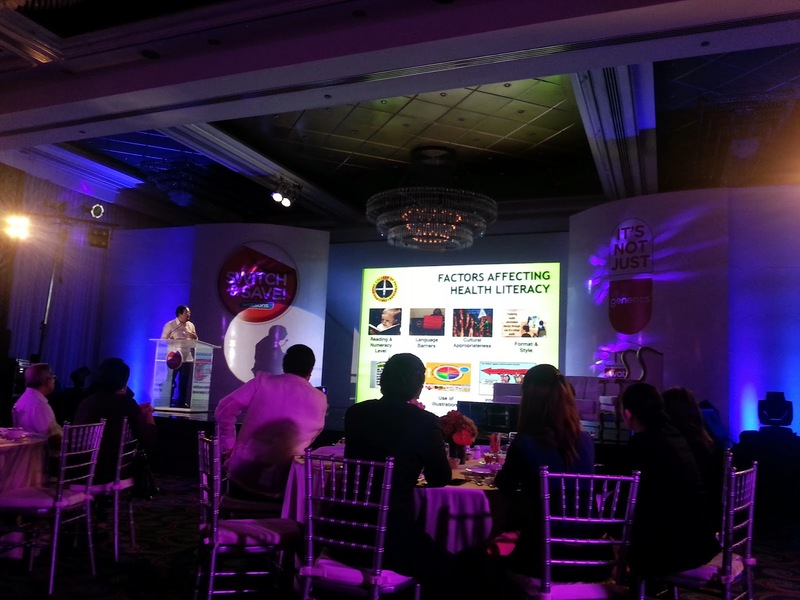 Watsons launch its Generic medicines held at Manila Peninsula Hotel. 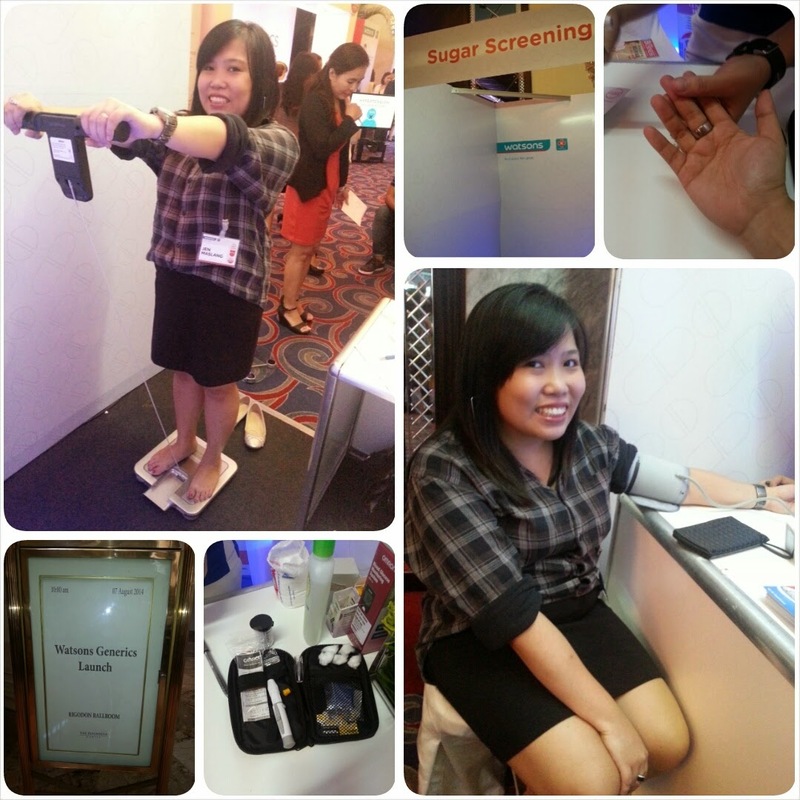 They also had a mini physical checkup for those who wants to check their weight, sugar count and blood pressure. They also had physicians to check the result. With Watsons Generics’ wide range of medicines and supplements, the most essential health needs of the entire family can be met. “We recognize that each family will have specific needs when it comes to their health. However, with the rising cost of not just medicines but all commodities, families may have difficulty meeting each specific need. With the launch of Watsons Generics, we aim to help families by giving them more healthcare options and the ability to purchase affordable, high-quality medicines. This will not just give them access to quality healthcare products, they will also be able to focus their finances on other important matters,” said Mr. Danilo Chiong, Health Business Unit Director of Watsons. Did you know that it's been years since I had my last check up! Maybe I didn't think that I need one. But after getting the result of my sugar screening test, blood pressure, weight, I will never ever take my health for granted! I was not happy with the result. huhuhu! I only have myself to blame(and all those sweets, unhealthy, junk food). And I decided right there and then to take care of myself more. Fight! I'm 4'11 in real life. So go figure what should be my 'ideal' weight. Hay. The Watsons Generics line includes maintenance medicines for diabetes, hypertension and cholesterol, antibiotics to fight off the common bacteria, dietary supplements for skin enhancement, anti-ageing and over-all wellness, basic vitamins, oral analgesics, and other over the counter medicines. This is just the first phase, and Watsons aims to continuously launch generic medicines to provide wider healthcare solution. To ensure the quality of Watsons Generics, our partner manufacturers undergo a screening process that meets international standards. “Our generic medicines are produced by trusted partners. All of these go through a rigorous screening process and a third party audit. These methods on top of Philippine regulatory agency standards assure consumers that they are purchasing high quality products,” said Mr. Chiong. Watsons Generics medicines have all passed the regulatory requirements of local and international quality assurance agencies. The medicines are registered with the Philippine Food and Drug Administration (FDA), passed bioequivalence test and the manufactured by facilities with certificates of Good Manufacturing Practice (cGMP). The Watsons Generics have all of these quality assurances while offering up to 80% savings vs. leading brands. 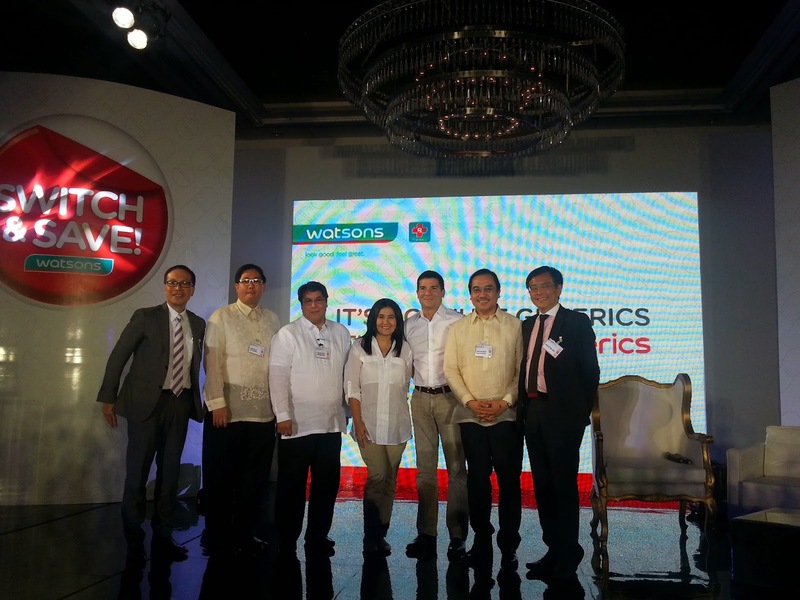 Watsons Generics answers the demand for affordable health care products in Filipino households. Around the country, families all prefer to have affordable medicines for their various health needs, without having to worry about quality and cost. 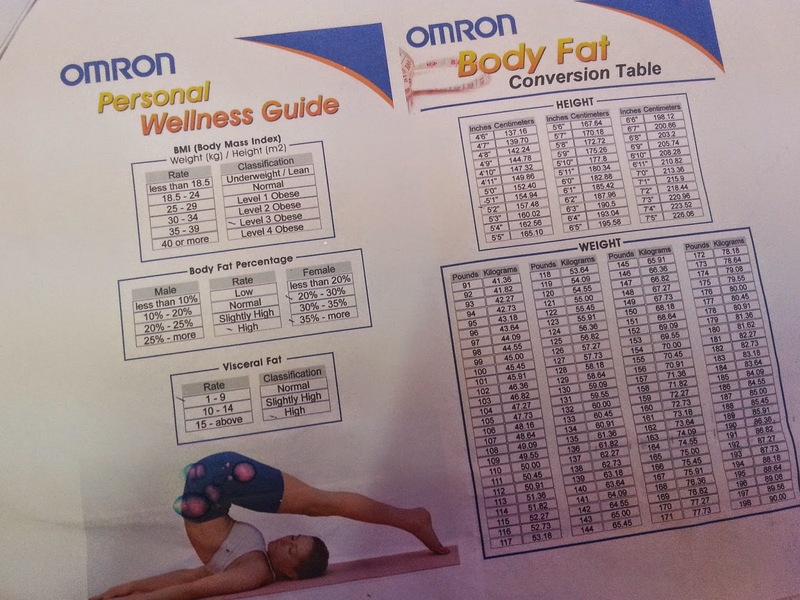 “For more than 170 years, Watsons has been providing health and wellness products to its customers worldwide. We are excited to do the same in the Philippines by allowing Filipino families to take charge of their health without the fear of financial burden,” said Mr. Chiong. 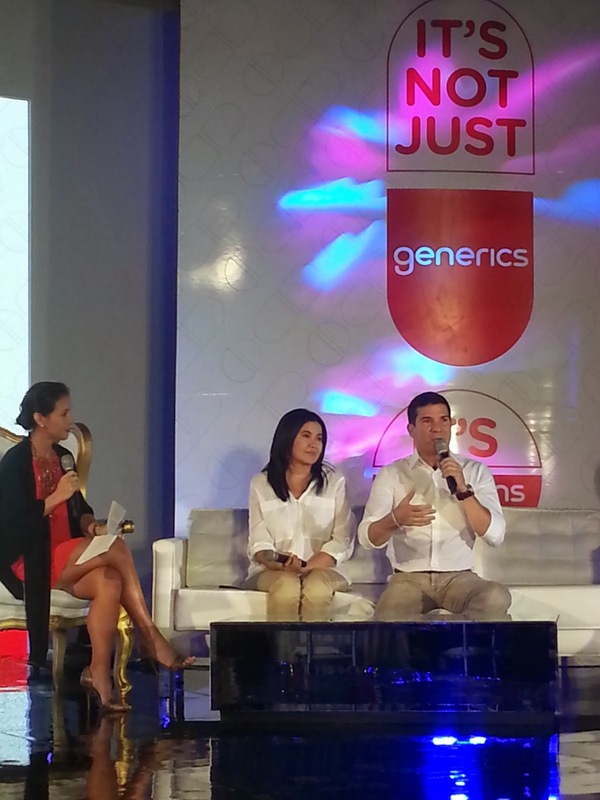 Btw, Christine Jacob-Sandejas hosted the launch and no other than Mr. Edu Manzano and Ms. Lorna Tolention as the new ambassadors of Watsons Generics. Now in its initial launch, Watsons Generics has introduced molecules for allergy & immune system, cough, dietary supplements, digestive prep laxative, flu cold nasal, gastrointestinal & hepato, mineral, oral analgesics, vitamins, antibiotics, cardiovascular & hematopo, endocrine & metabolic syt, respiratory system and neuromuscular system. However, they will continue to study on what other products the Filipino people may need and how they can address these needs in the future. 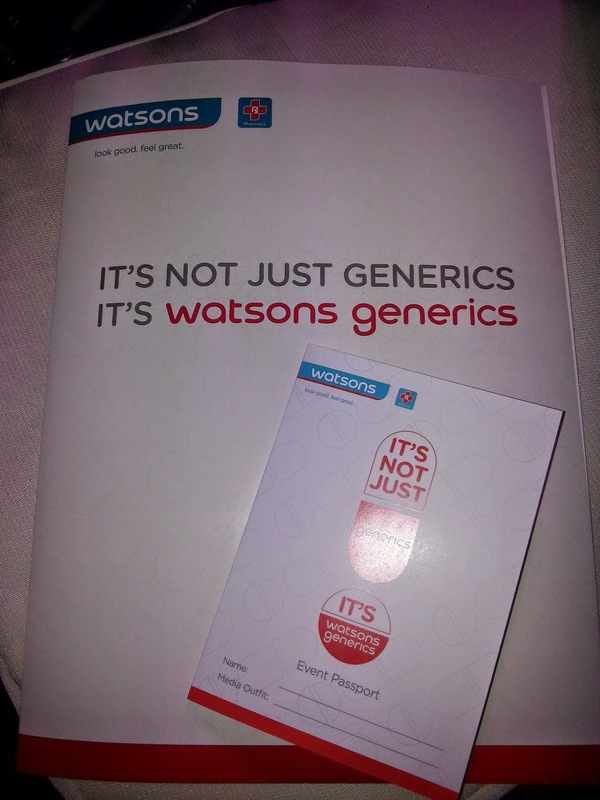 Watsons ensures that its entire generics line is carried by all Watsons outlets nationwide. At present, it operates over 330 stores. 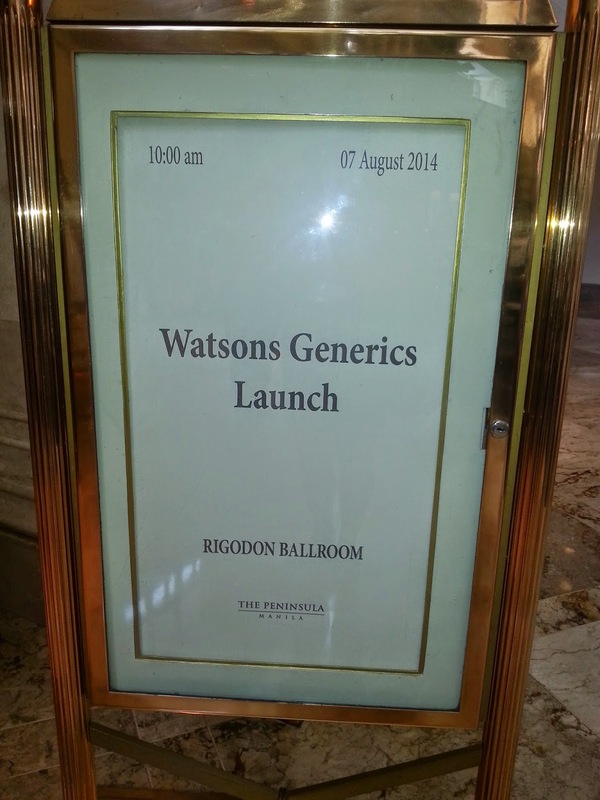 Remember, it's not just generics, it's Watsons Generics! Thank you Watsons for having me! Now I know where to get affordable yet quality medicines for my family!